Do you think your betta might be suffering from tuberculosis? While tuberculosis in betta fish is extremely rare, it can still happen. If you think your betta is suffering from tuberculosis then find out what you can do. In most cases, it’s going to be fatal, but if you’re housing your betta with other fish you can still save the rest! So keep reading to find out everything you need to know about betta tuberculosis and what you can do to prevent it! 1 What Is Fish Tuberculosis? 2 What Causes Betta Tuberculosis? 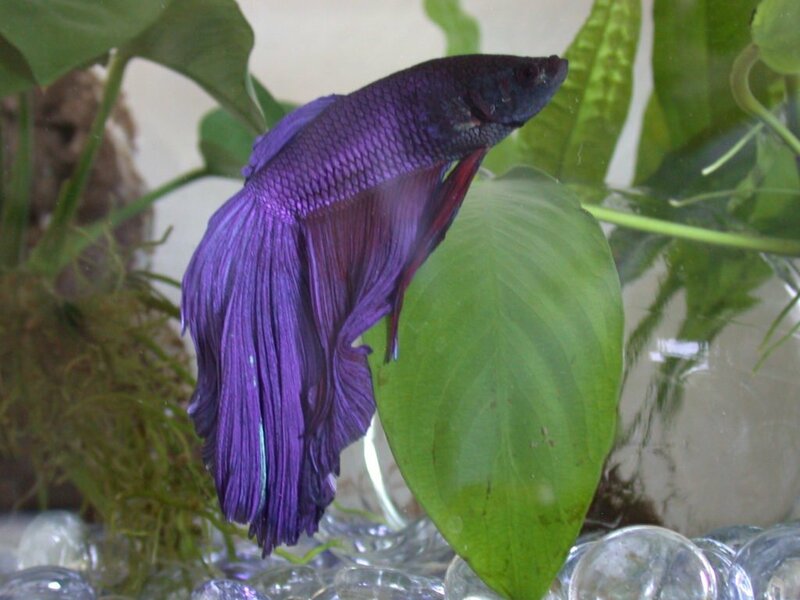 3 What Are The Symptoms Of Tuberculosis In Betta Fish? 10 How Do You Prevent Betta Tuberculosis? Fish tuberculosis is caused by Mycobacterium marinum a type of bacteria that is found in aquariums. While it’s rare for it to infect your betta, it is normally present in most aquariums. However, there’s nothing you can do to remove it. If your betta is suffering from tuberculosis you won’t even notice any symptoms at first. 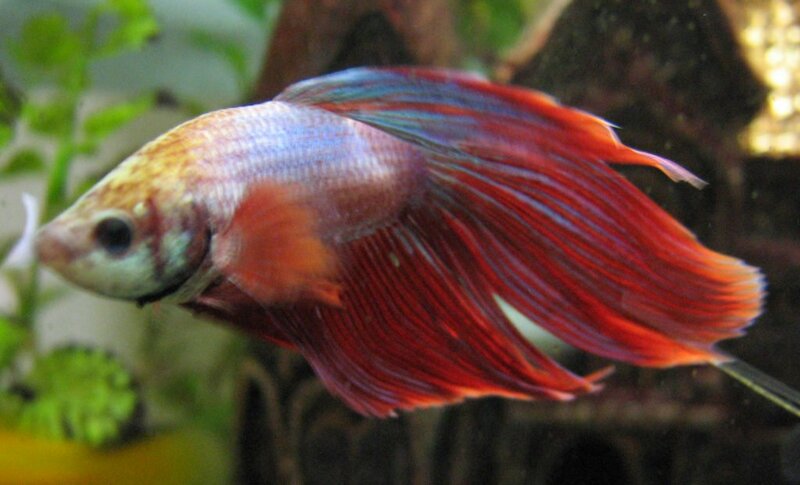 In fact, fish tuberculosis could have infected your betta for 6 months before you notice any symptoms. And that’s one of the reasons it’s so deadly. Most of the time the bacteria will attack the internal organs of your betta. Once the organs begin to fail that’s when you’ll begin to notice the symptoms. But, by that point, the chances of saving your betta are slim to none. There are a number of different things that can cause your betta to catch tuberculosis. However, it’s important to remember that as long as you’re maintaining good cleaning practices and you’re taking care of your betta, most of the time tuberculosis can be avoided altogether. Here are a few of the common causes of tuberculosis in betta fish. If you’re interested in buying a 5-gallon tank then here’s are the best 5-gallon tanks currently on the market right now! As well as making sure you’re not overstocking your tank you need to be cleaning it regularly as well. And the smaller the tank the more often it’s going to need to be cleaned. You should be performing water changes regularly, as well as vacuuming the gravel. Check out this handy in depth guide on how to clean your bettas tank effectively. Fluctuating water temperatures and pH will also make it more likely your betta will contract tuberculosis, and for two main reasons. If your temperature fluctuates too much and becomes too hot it’s going to become the perfect breeding ground for bacteria. But more importantly fluctuating water temperature and pH is going to stress your betta out and weaken his immune system. This, in turn, is going to make it more likely that he’ll contract tuberculosis as well as a whole host of other infections and diseases. On the subject of stress, anything that is going to stress your betta out will weaken his immune system. So if you’re housing your betta with other fish make sure he’s not flaring up or getting attacked. If you notice either of these things happening then you may need to move him to another tank. Also, make sure he’s getting enough food and that he’s not damaging himself on anything in the tank. Either of these can cause your betta to become stressed as well. If you keep your betta’s immune system strong, even if there’s tuberculosis in the tank it’s going to be less likely he’ll catch it. There’s some speculation that tuberculosis can often be caught through ingestion. If you’re feeding your betta live food that’s infected with tuberculosis then he could catch it. On top of this, if your betta eats another fish that has died from tuberculosis then he’s more likely to catch it. Unfortunately, there’s not a lot you can do for this one. You need to feed your betta live food for him to stay healthy so it’s just part of the risk. However, to reduce this risk try buying your food from reputable suppliers that you trust. This way you’re going to lessen the chance you’ll buy a bad batch. However, if you think your betta’s diet is poor then you should definitely try to improve it. A poor diet is going to result in a poor immune system. Its always recommended that you quarantine any new fish before introducing them to your main tank. And this is one of the main reasons why! While the fish may look healthy and fine they could still be harboring dangerous diseases and bacteria. You should always quarantine them for 2-4 weeks so you can look for any changes or deterioration in them. Read this to learn how to set up a quarantine tank! Not only are they good for quarantining fish you plan on introducing to your tank, but they’re also a safe environment for your betta anytime he becomes sick! What Are The Symptoms Of Tuberculosis In Betta Fish? Knowing the symptoms of tuberculosis can help you stop it from spreading to other fish. However, it’s important to know that by the time symptoms are seen in bettas, the chances are it’s too late. Tuberculosis will often cause massive damage to the kidneys, liver, and intestines before any signs even become visible on the outside. The most common symptoms of tuberculosis are these. If you notice that your betta has lost a lot of weight to the point they look emaciated then it could be tuberculosis. It’s even more likely if it’s the top half of their bodies that are suffering from this emaciation. If you notice that they’re losing muscle density or their body is wasting away, then there is a strong possibility that your betta has tuberculosis. However, there are also other diseases that cause a loss of appetite in bettas as well as thinness. This is going to be the clearest sign of tuberculosis and if you notice it then there’s a high probability that’s what your fish is suffering from. However, instead of the spine curving to the side (which is common in dropsy), the curve will be vertical. If you notice your bettas spine is curved, it’s either because the organs are so damaged they’ve begun to swell, bending the shape of your betta’s spine, or because the spine itself has become infected. Tuberculosis can also cause a lot of skin defects in bettas and other fish. One of the most common skin defects you may notice is the loss of scales. This symptom is pretty specific to fish tuberculosis and it’s another strong indicator when spotted with other symptoms. As well as a loss of scales you may also notice blood spots, open wounds, discoloration, lesions all over the body, and folded fins. However these symptoms are also signs of many diseases, so you shouldn’t diagnose your betta on those alone. Another clear sign of illness in any fish is sluggish movement, or even worse a lack of movement altogether. You may notice that your betta isn’t as energetic as he used to be or he’s just floating at the top of the tank all the time. If you notice this with other symptoms then it’s best to remove him from your tank and place him in a quarantine tank. Or to euthanize him. And lastly, you may notice eye damage in your betta. Oftentimes when bettas become sick the organs behind their eyes swell up and cause their eyes to protrude. However, you may also notice that the eye itself becomes discolored as well. This symptom is at the bottom of the list, because, while it may be a symptom of tuberculosis it’s much more likely that it’s being caused by popeye or cloudy eye! When diagnosing your betta you need to be certain it’s tuberculosis. There a lot of other diseases that can cause these symptoms and if you misdiagnose your betta then you could kill him. 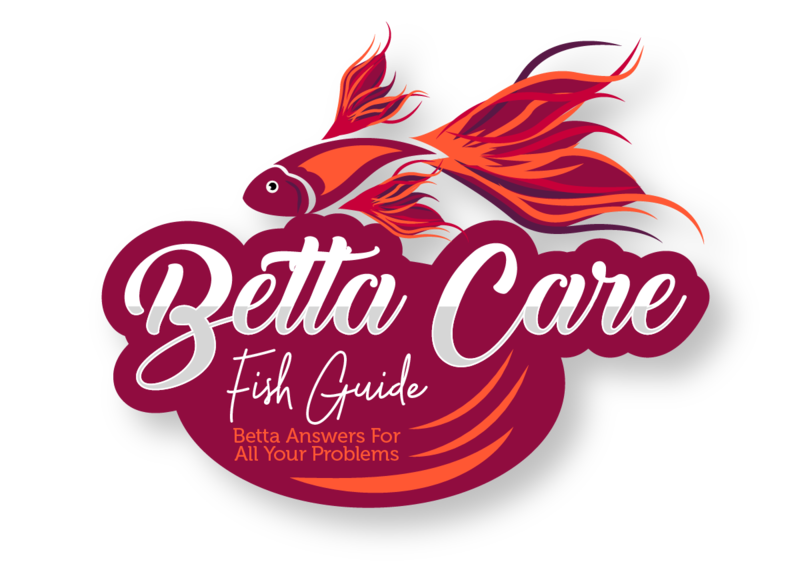 If you want to know more about different diseases that could be infecting your betta then check out this page that will link you to all the most common betta illnesses and diseases. Unfortunately, there is no real way to treat betta tuberculosis. While some people speculate about things that might work, there is no standard solution. Because as I previously mentioned, because of the aggressive nature of tuberculosis and how much-unseen damage it does, by the time you realize that your betta is suffering from it, it’s already too late. Some people believe if you can dose a tank with antibiotics, or clean any wounds with penicillin then there’s a chance that your betta might survive. However, this is going to be extremely hard for a standard fish keeper and normally requires a vet. As well as this even if you did try to treat your betta with antibiotics or penicillin the chance of survival is still slim. Because your betta’s insides have simply had too much damage caused to them. Also, traditional methods for treating diseases aren’t going to work, and in fact could make things worse. Normally we get told that some of the things to do when your betta is sick are increasing the temperature of the water in the tank and adding aquarium salt. The bacteria that causes tuberculosis in bettas thrive better in warmer temperatures so by turning the heating up you’re only going to make it more aggressive. And while aquarium salt won’t make it worse, it’s not going to make it better either. Unfortunately, tuberculosis occurs in saltwater fish as well so adding aquarium salt isn’t going to affect it. If you are certain that your betta has tuberculosis there are only two things you can do. Place him in a quarantine tank where he can live out the remainder of his life or euthanize him. And to stop him from suffering the second option may be better. How Do You Prevent Betta Tuberculosis? Luckily, the chances of your betta catching tuberculosis in the first place are tiny. And if you work on preventing it from occurring in the first place then you won’t have to worry about ever treating it. If you want to prevent your betta from contracting tuberculosis here are a few things you can do. If your bettas immune system is strong even when tuberculosis in the tank it’s extremely unlikely that it will infect him. The main reason that your betta is going to get tuberculosis is that he’s already weak. Some ways that you can make sure your bettas immune system stays strong is to make sure he avoids stress and has a healthy complete diet. On top of this, it also helps to make sure that the water conditions he’s living in are perfect. Another way to prevent tuberculosis in your betta is to make sure the water conditions stay good. Frequent water changes and gravel vacuuming should be done often. In a smaller tank you may need to do this 1 or 2 times a week, however, as the tank gets bigger you won’t need to do it as much. Also, make sure you aren’t feeding your betta too much. If any food is left over it will begin to decay in the tank and increase the amount of bacteria growth occurring. And of course, make sure you’re quarantining any new fish you plan on adding to your tank. If they’re infected with tuberculosis they’re not going to show it straight away. Even if they look healthy there’s nothing to say that they’re not harboring tuberculosis or many other diseases. You shouldn’t go into the first pet shop you see to buy your fish. You should check the reviews online first and see what your friends think. If you buy fish from a supplier that isn’t reputable or good, then you’re inviting ailments and illness into your tank. You may have heard that humans can catch tuberculosis from fish, and it’s true they can. However, it’s not going to be the death sentence that it is for your fish. And it’s not going to be the kind of tuberculosis you think. The bacteria that causes tuberculosis in fish is different from the one that causes tuberculosis in people. When a human contracts fish tuberculosis it’s commonly known as fishkeepers disease. While it’s not as dangerous for humans, it’s definitely not pleasant. If you catch tuberculosis from your fish then you’ll get persistent skin infections that can be painful and itchy. To avoid catching tuberculosis from your tank you should always wear gloves when putting your hands in the water, and make sure you thoroughly wash them after they come into contact with aquarium water. Hopefully, after reading this article you’ve realized that it’s not tuberculosis you’re betta is suffering from but something else. And also that you’re going to take extra care of your aquarium to make sure it’s not going to be a breeding ground for tuberculosis. The main cause of tuberculosis in fish is poor water conditions matched with a weakened immune system. The common symptoms of tuberculosis are a bent spine, emaciated body, lack of appetite, skin lesions, abnormalities, and eye problems. However, most of the symptoms seen in tuberculosis cases can also be caused by other diseases. The truth is that if your betta has tuberculosis by the time you diagnose it, it’s already too late. There isn’t a treatment for tuberculosis in bettas. If you think your betta is suffering from tuberculosis you should remove him from your tank immediately. You can either quarantine him or euthanize him. You can prevent tuberculosis by making sure your bettas immune system stays strong and the water quality of your tank is good. To do this make sure you’re feeding him nutritious food regularly and that you’re performing water changes and gravel vacuuming weekly or more. To avoid catching it you should always wear gloves when putting your hands into the water. If you liked this article or have any more questions you can leave them below. Here are some more articles on betta diseases. Remember, if your betta seems sick it’s far more likely he’s suffering from one of these diseases.